TORRANCE, CA--(Marketwired - October 15, 2013) - Verengo Inc., the nation's leading residential solar specialist, announced today that Michael Hansen has joined the company as Chief Financial Officer. Hansen brings 30 years of international business experience to Verengo having worked on four continents including six years as the Divisional Vice President of Finance for Smith's Interconnect, a $550 million global leader in commercial and military electronics. More recently Hansen was CFO of RAE Systems Inc., a private equity backed Silicon Valley technology business, where he helped in the successful sale of that company to Honeywell. "In light of his wide-ranging experience and proven financial leadership, we are confident that Michael will master the challenges presented by the booming rooftop solar sector," said Co-Founder and CEO Randy Bishop. "As one of the nation's leading residential solar installers, we expect Verengo to grow exponentially over the next five years. Michael is the ideal executive to help us realize those expectations." "Verengo's core values begin with trust and responsibility which is why I believe the company offers a unique opportunity to significantly increase America's acceptance of residential solar power and have a lasting impact on our environment," said Hansen. "I look forward to partnering with Randy and Ken and the Verengo Team in their efforts to provide affordably-priced rooftop solar to the millions of American homeowners who aren't aware today of how significant their savings can be." "Michael has the financial savvy, growth orientation and global financial experience to take this job to a new level of integration in the company," said Co-Founder and President Ken Button. "In addition to his day to day fiduciary responsibilities, Michael's focus will be on driving expense reductions which will increase the addressable market and accelerate our growth." Verengo Inc. is changing the way America thinks about solar! Verengo is ranked #1 on the Solar Power World list of Top Residential Solar Contractors in the U.S., has been named to Inc. Magazine's List of America's Fastest Growing Companies and consistently maintains an A+ rating with the Better Business Bureau. The company markets, sells and installs solar photovoltaic systems, which enable homeowners to save money on their electricity bills and replace dirty electricity with clean, renewable energy. Verengo has grown 700% over the past 4 years and has added 900 new employees over that period. A recent survey found that 97% of Verengo customers would refer the company to their friends and family. The company has earned this recognition and customer satisfaction by making solar easy and affordable for its customers and delivering superior customer service. All of this, while making the planet a better place to live. For more information on Verengo Solar, visit www.verengosolar.com. 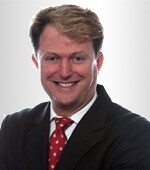 Michael Hansen, Chief Financial Officer of Verengo Solar.